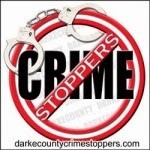 On July 10, 2018 at approximately 3:30am, a citizen in the 200 block of Central Avenue contacted the Greenville Police Department to report a male suspect inside of the citizen's vehicle which was parked on the street in front of their residence. Officers responded and after a short foot pursuit in the area, arrested the suspect, Derek Dodson (29), of Richmond, Indiana. Dodson was charged with Vehicle Tresspass and Obstructing Official Business and subsequently incarcerated at the Darke County Jail. The Greenville Police Department would like to remind citizens to always lock your vehicle and to contact the Greenville Police Department to report any suspicious activity.